The Maraia Method®: a Practical, Effective & Immediate way to transform your practice. 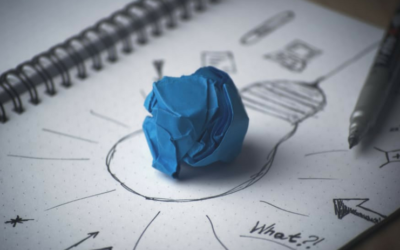 Thousands of hours of coaching have led us to create a simple method of business development that promotes changed thinking and behavior resulting in deeper client relationships, more confidence in your networking and marketing abilities and more FUN in your day to day practice. Focusing on Systems, Metrics and Plans, The Maraia Method® combines proven techniques with immediately actionable steps you can use to build more structure, success and satisfaction into your practice. 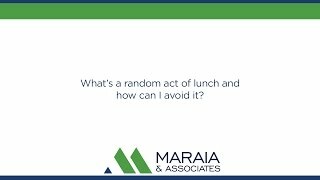 What\'s a random act of lunch and how can I avoid it? In business development, preparation is key. Without preparation, a marketing activity such as lunch can quickly become nothing more than a series of random events that doesn\'t generate any business. We call these random acts of lunch. With a little bit of preparation in advance, you can transform a random act of lunch into a successful business development opportunity.